We’ve all been there – the college party. At one point or another during your college days, you would have likely attended a party. Whether that party was in an on-campus dorm, an off-campus house, a fraternity or a sorority, it’s possible it was busted up by the police. It goes without saying that there was underage drinking, so it is on every college campus throughout Florida and the rest of the country. The National Institute on Alcohol Abuse and Alcoholism reports that two out of every three college students binge drink during a 30-day period. We will discuss some of the criminal charges a person could face due to various events that occur during college parties. A first offense where no minors were harmed leads to a second-degree misdemeanor charge. This comes with no more than 60 days in jail. The crime becomes a first-degree misdemeanor charge for a second or subsequent offense, which comes with no more than one year in jail. If a minor is harmed or dies as a result of the party, the charge is automatically a first-degree misdemeanor. Hazing is a common problem at fraternities and sororities. Florida law defines hazing as any situation that intentionally endangers the physical or mental health or safety of another person. Hazing incidents are charged as third-degree felonies when the defendant acts intentionally to the point where the victim suffers a serious injury or death. These incidents are charged as first-degree misdemeanors when the offending party creates a substantial risk of serious bodily injury or death. Social host liability is a topic related to injuries sustained or caused by a person under the influence of alcohol. There are dram shop laws in effect in Florida that hold vendors responsible for serving alcohol to minors or to someone who has been known to have an addiction to alcohol. 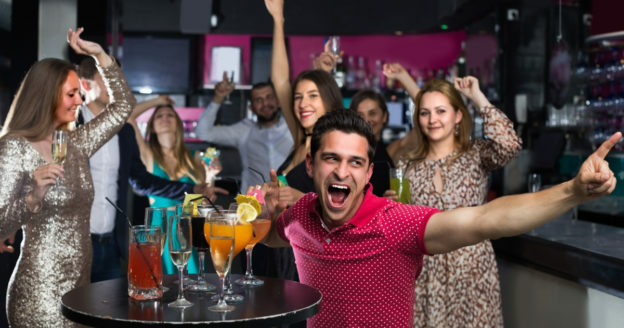 For example, if a minor is served alcohol in a restaurant or bar, the owner or bartender of the establishment could be held liable for any injuries sustained or caused by the minor. There are no social host liability laws on the books in Florida, which means that owners of private residences cannot be held liable if a guest becomes inebriated and winds up injuring someone else at the home. 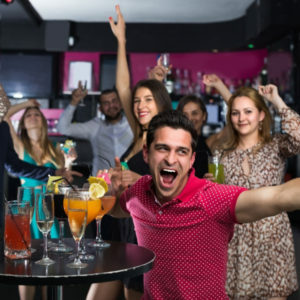 The victim of any injury can sue the person who caused it (the intoxicated guest) but cannot sue the host of the party in the private residence. Were you charged with a violation of the Florida Open House Party Law? Are you facing assault charges following a hazing incident? Contact the experienced team at Michael A. Gottlieb, P.A. to discuss your case. Call the office in Fort Lauderdale at 954-462-1005 to schedule a consultation today.